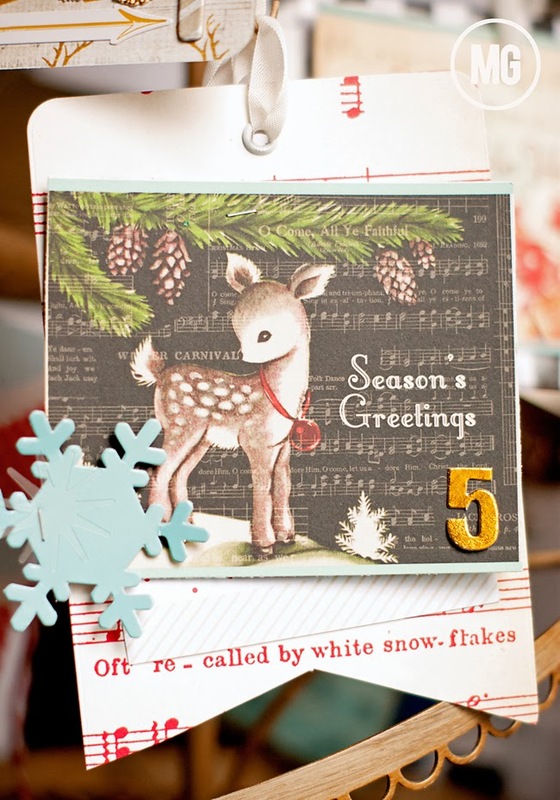 holiday countdown cards...AND a giveaway! I am SO excited to share my project for today! 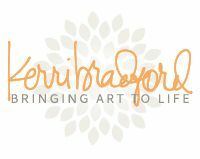 OK...first off...let me preface this post by saying that I am just over the moon to have been recently named to the WeR Memory Keepers/Lifestyle Crafts Scrapbook Studio Team! 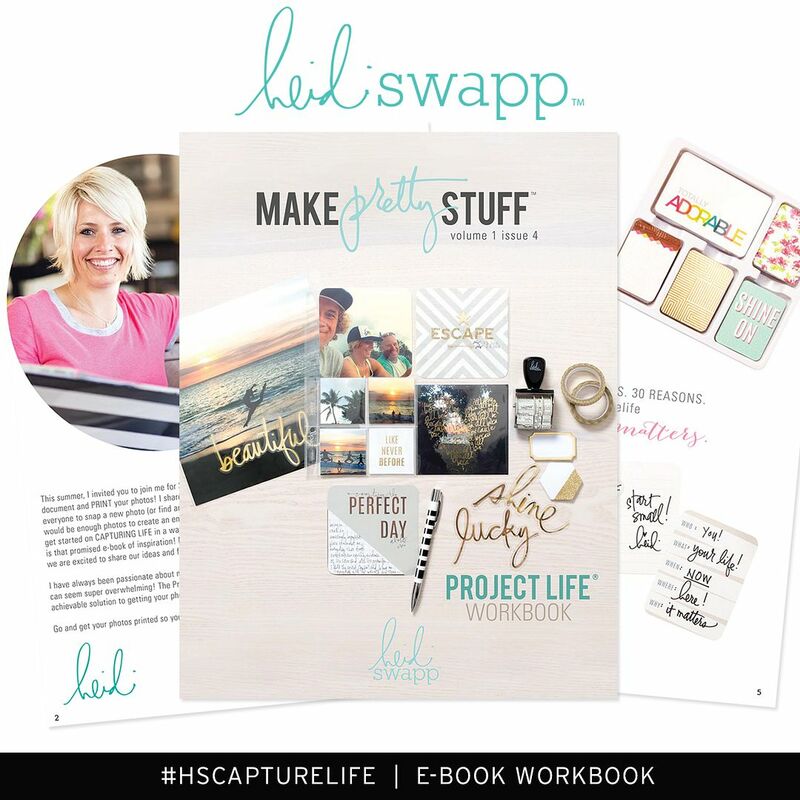 We R recently purchased Lifestyle Crafts, and, in doing so, added to its already impressive lineup of tools for scrapbookers, card-makers, organizers & artists. 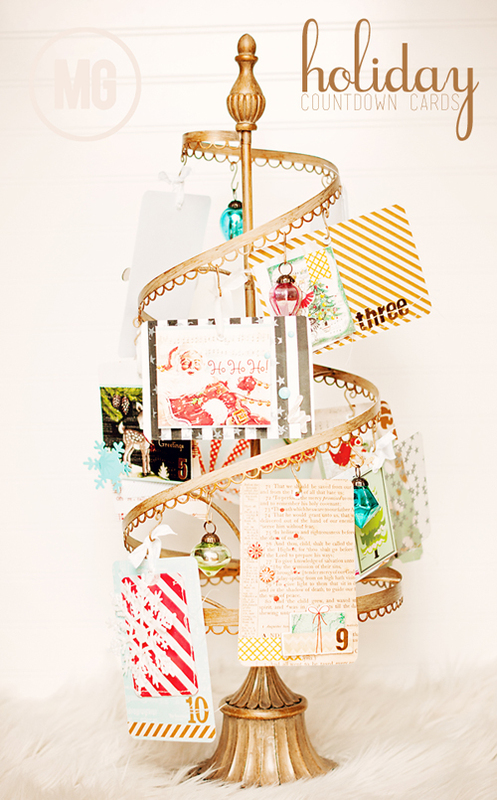 As a part of the Scrapbook Studio Team I will be bringing you projects/tutorials and (I hope!) inspiration using some of my favorite products from both WeR and Lifestyle Crafts! I can hardly wait! 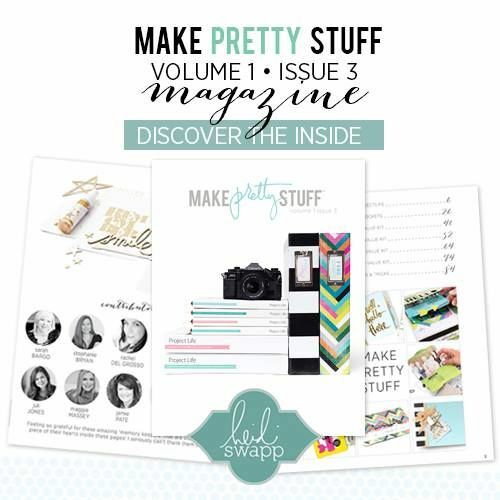 So, have you heard of pocket-page scrapbooking? The idea is really simple...instead of scrapping an entire 8.5"x11" or 12"x12" layout, you simply add photos and decorative cards to pockets in a page protector. You can make your pages as simple or intricate as you like...it's truly fantastic and so flexible...and is a wonderful way to document your memories. 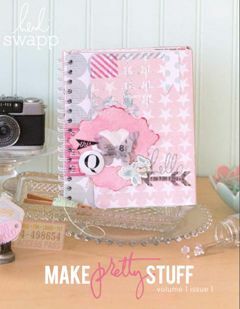 Pocket-page scrapbooking is most often done in these sizes...3x4 and 4x6. And, wouldn't you know it? Lifestyle Crafts offers cutting dies so that you can instantly cut your photos and patterned paper to the right pocket sizes...without needing a trimmer or ruler or corner-rounder...anything that saves a little time, right? For my very first project I used these Pocket Scrap Starter Dies...in both 3x4 and 4x6 sizes...with both rounded and right-angled corners. 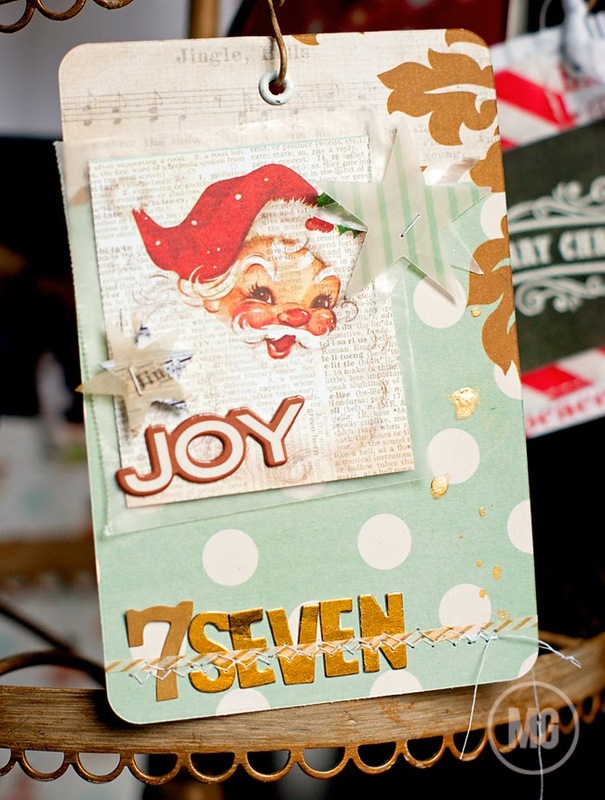 But I used these dies just a little differently...instead of using them to cut cards and photos for my scrapbook, I used the cuts to make fun little Holiday Countdown Cards. Now, I know what you're thinking...ummmm...December started 10 days ago. Yeah, I know. Believe me, my kids remind me every.single.day. BUT, I was a little slow on the uptake this season...and an advent calendar never got made. Or bought. 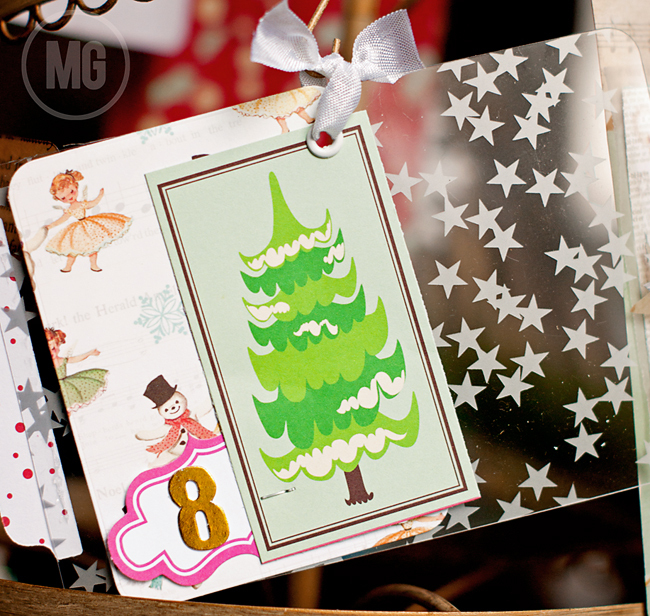 Sooo, instead I thought it would be fun to count down the final 10 days before Christmas with these little cards. I'm hoping to add a small gift or two to each tag (maybe a gift card or a little note), but I'm not going to knock myself out. The kids seem to be excited enough to just remove a card from the hooks each day. I turned this card on it's side and made turned it into a tag by notching the bottom...wouldn't this be great for a gift, too? Hmmm...ideas..
Don't be afraid to use your sewing machine on paper...I use plain old white cotton thread and a heavier-duty needle. Set your machine for a wide stitch and have fun! AND! BONUS! Because the cards are 4x6...yep, you guessed it! They will fit right into my December/Christmas memory book each day! woo hoo! 2 jobs...1 project. This little tool...the Crop-A-Dile makes adding those eyelets as easy as punching a hole. No...really. 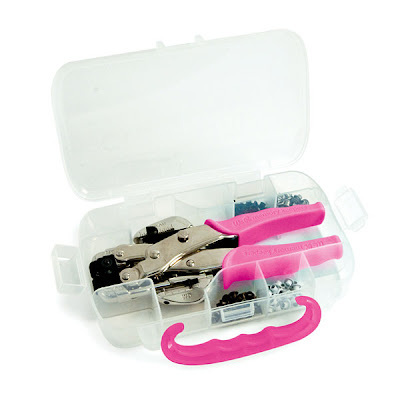 The tool has a hole-punch (2 actually, in two different sizes) AND an eyelet setter (and can be used on paper, plastic, thin tin, bookboard...AND can also set snaps and washer combos). And it's surprisingly easy to use. Just a quick squeeze of the handles and you're done. We R has the coolest product...Albums Made Easy! It's a little box filled with 4x6 and 3x4 cards...all coordinated and ready to fit into an album...just add your photos, write down your memories on the journaling cards and you're done! Each box contains 200 - 3x4 cards and 75 - 4x6 cards, so you really can get an entire album done with just one box! 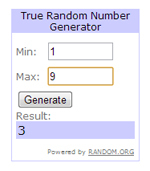 GIVEAWAY IS NOW CLOSED...and the winner is...#3! All you have to do is leave on comment on this post to be entered to win. I will pick a winner this Friday, December 13! woo hoo! Please leave your email address in your comment so that I can get a hold of you if you win. 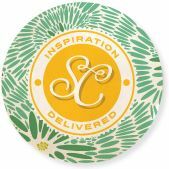 Be sure to "LIKE" We R Memory Keepers and Lifestyle Crafts on Facebook to keep up with new products, design inspiration and giveaways! So what fun things have you been doing to help count down the days until the 25th? I'd love to hear! And if you are ever inspired by anything you see here, I'd love to see!!! Post your projects on Instagram and tag me @maggie_massey_ with #mginspo DISCLOSURE: As a member of the Lifestyle Crafts Studio Teams I am compensated with products both of my choosing and those sent to me for test purposes. All opinions expressed in my post are honest and objective and are completely my own. 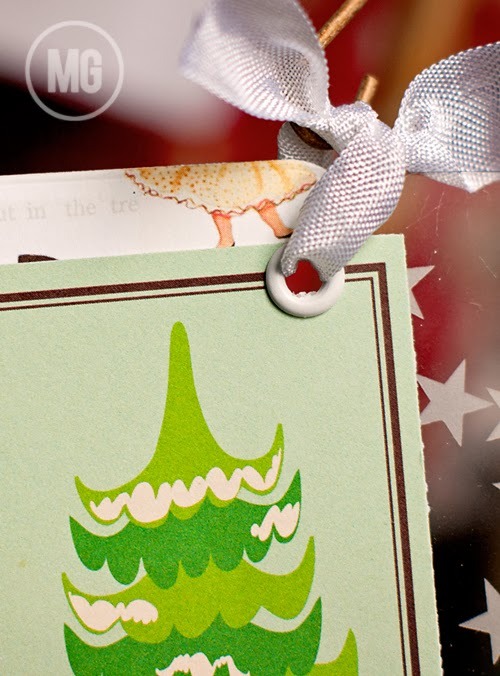 Love your holiday countdown cards! Thank you for the chance at a delightful prize. oh WOW what a fabulous product! i would LOVE to get my hands on these! Thanks for the opportunity to win Maggs! where did you find that great christmas card holder? yes i wanna win that!!! and i am so stinkin' happy for you!!! girl...you totally rock!!! huge congratulations. what a great company and so many fab fab products. so glad i finally made it over here. Congrats on making the team! 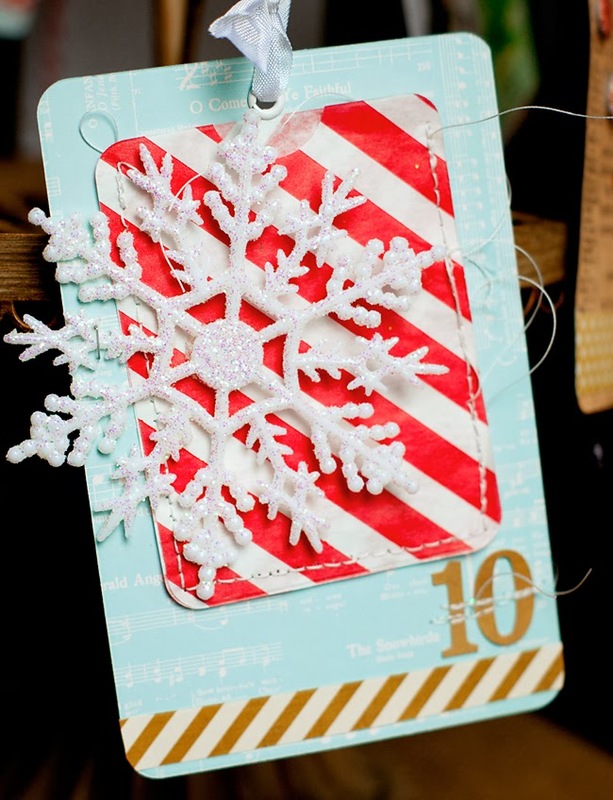 Love your projects and those dies are fabulous!! wow these are gorgeous! LOVE what you have them displayed on as well! Thanks so much!